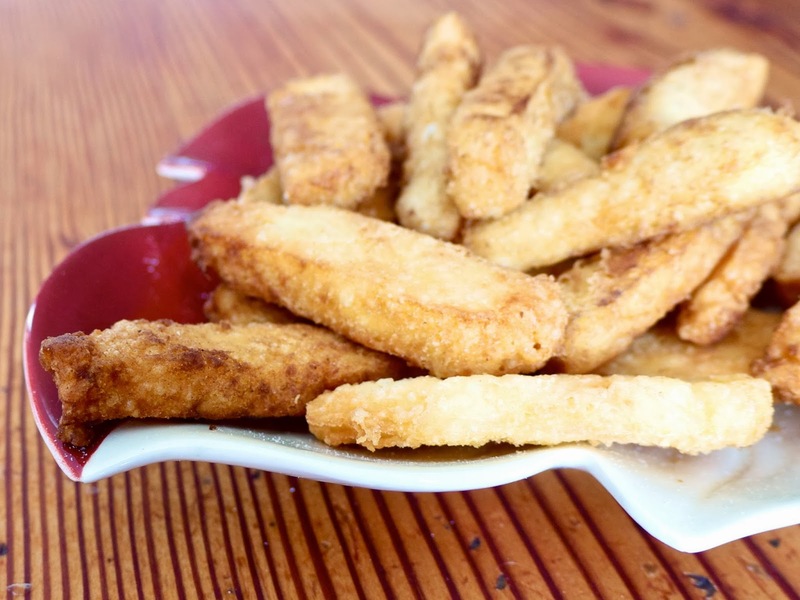 Halloumi fries: they’re not just A Thing, they’re really something. For all that I go on at length, such length, about how my brain can make my life difficult, occasionally it serves up an idea of distinct majesty that almost makes everything else worth it. Most recently: it was a frustrating, and frustratingly typical sleepless night when I had the idea for halloumi fries. 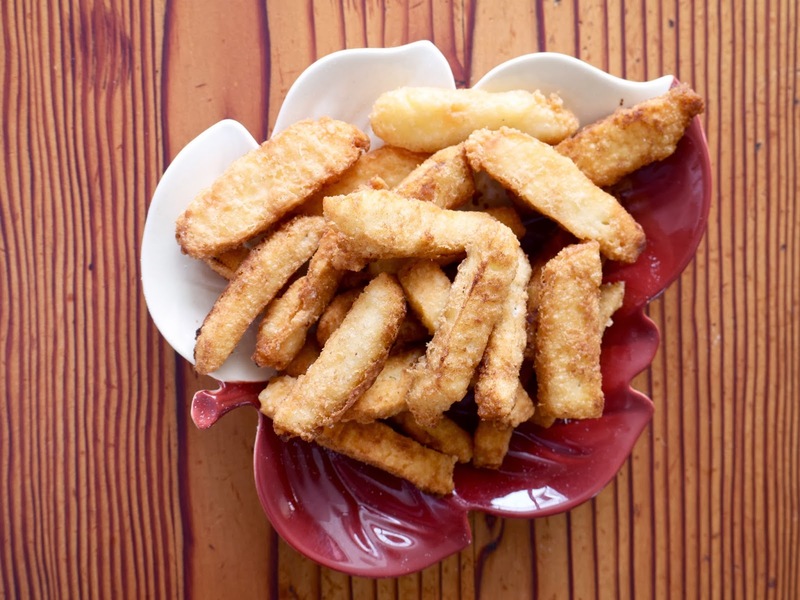 What if you slice halloumi into thin rectangles, dust them with flour and deep-fry them? Would they be crunchy on the outside and melting on the inside with the stability of fries and the yielding salty tumescence of cheese? Or would they dissolve into puddles the instant they hit the hot pan, melting messily everywhere and absorbing half the oil and being generally horrific, in terms of taste, texture and money squandered? Happily – rapturously, in fact, mere happiness doesn’t quite convey the um, rapture of the situation: it worked. I’m pretty used to things going disastrously wrong in the kitchen. Sometimes ingredients just don’t do what I assume of them, sometimes I am very clumsy, sometimes an idea is misguided or, like athletics and mathematics and haircuts, simply better done by a professional that isn’t me. But these were perfect. Really, really, sorta bafflingly exceptional. Given the propensity for things to go wrong – halloumi is expensive, hot oil is intimidating, I am me, I couldn’t believe how breathtakingly straightforward the path to deliciousness was. Simply coating these in flour before frying makes them so spontaneous-fist-in-the-air crisp and crunchy, yet the insides still have that soft, buttery halloumi bulginess. They are delicious, so delicious that you will eat them with brows furrowed in wonderment at how you’ve hit the one of the (hopefully many) high points of your very own existence. an unattractive but necessarily informative picture for you of the cheese frying. So now you know that this is what the cheese looks like when it’s frying. They are sufficiently sublime on their own, but if you want some kind of accompaniment, I’d suggest a tomato relish of some form, or a mix of wholegrain mustard and mayonnaise, or maybe aioli if you’re able to handle the rich-rich-rich of it all, or perhaps even just a dish of balsamic vinegar, which takes me back to pairing fish and chips with vinegar as a child. a recipe by myself. I considered adding chili powder or paprika to the flour but minimal is best here, to show off the excellence of the cheese and the frying process. My one main caution here is make sure you use a brand of halloumi that you know is firm and holds its shape. Some brands are more melty than others. I used Axelos since it was all the no-good supermarket had, and it worked fantastically. Slice the halloumi into relatively even rectangles. I can’t tell whether I like these better as slightly wider, flatter shapes or thinner, more french-fry esque, so tend to do a bit of both. 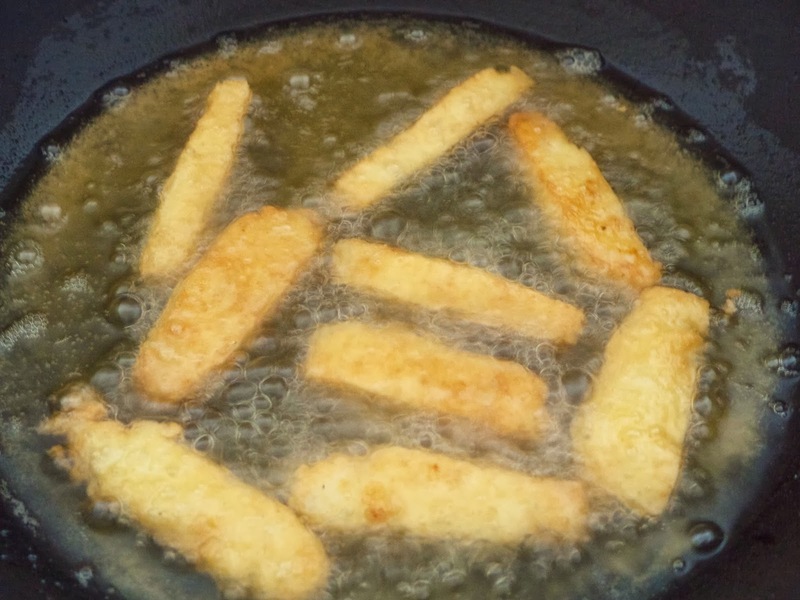 Any bits that crumble or fall off can still be used as a mid-frying snack for yourself. Heat up around an inch and a half of oil in a saucepan – really, that’s all you need – using a little offcut of halloumi to work out when it’s ready to go – put it in the pan and there should be rapid bubbles moving around it. Then eat it, of course. Place the flour on a plate and put about half the halloumi on it, turning over each slice to thoroughly coat it. Spoon each slice carefully into the pan – they might slowly float towards each other but they shouldn’t stick or anything. Also I just used a regular metal serving spoon for this, tongs might be easier but I didn’t want to dent or break the cheese slices. Allow the oil to bubble away and turn the slices over after a minute or so, once they’re golden brown on the underside (obviously you will have to check this, I don’t expect you to just know somehow.) Remove with the spoon to a plate with a couple of pieces of paper towel on it, and continue with the rest of the halloumi. The second batch tends to cook a lot faster, because the oil has really hit its stride in terms of being blastingly hot. Seriously. Thanks, brain. When I was eating these, I thought “this might actually be the most significant and valuable discovery of 2013“. I think I was being pretty sincere, too. Which is a little concerning. But you eat these, and then try telling me I’m exaggerating. Presuming you both like and can eat cheese in the first place, of course. I know hybrid foods – the cronut, the…um, cronut, it’s all I can think of right now – can be both overwrought and overdone till they’ve lost all sense of context and of being an actual food. These may speak of gimmick and wilful excess, neither of which I really have a problem with, but I promise you, in a fairly confident and calm manner, that these are simply incredibly good. Also maybe some kind of potential phenomenon, if only in my brain. Which is not such a bad place all the time, after all. So: it is a whole damn year since Tim and I got engaged in Central Park, New York City. This morning, while I wrote studiously and with minimal procrastination to meet a million deadlines, Tim went out to get some vegetables from the market so that we wouldn’t shed our skins with scurvy in the upcoming week. He came back with alllll this. I was like…”I would never have thought up something as nice as this” (there’s some specificity – the flowers kind of look like poppies, and I just had one tattooed on me, San Pellegrino is my very favourite fizzy drink, we had fancy cakes present at the picnic when we got engaged, what is life.) I did invent halloumi fries though, so we’re both bringing something to the table. Also: I finished my latest knitting project, a hooded cape. I am so proud of myself about this – it’s a large garment, it involved hours of stitching, I learned so many new moves, and…now I have a witchy cape which is hugely warm but also practical but also makes me feel a bit like Little Edie Beale in Grey Gardens. Not that she had an easy life, but she sure knew how to dress cunningly. Finally, I had a lovely, super-fun interview about my cookbook in Canta, the Canterbury Uni student magazine. You can see a pdf of it here, and I’m on page fourteen. Yay interviews, I love them! Finally-finally, I am still trying to organise an Auckland launch party for the cookbook so if you have any perspicacious thoughts regarding that, get in touch. title via: Lana Del Rey, Video Games. She knows a thing or two about a thing or two. Little Mix, Move. If you liked Girls Aloud’s Biology, that kind of twenty-two-pop-songs-whisked-into-one sound, then this should appeal. But even if you hated that song, give this a try. It’s so good. One Direction, Kiss You. Yeah. I went to see the movie by myself on Friday night and honestly? I think I might go see it again at some stage. They’re just so charming and adorable and real and lovely and the best of friends and scrappy and sweet and the music is really, really good. How have I never had halloumi fries before? 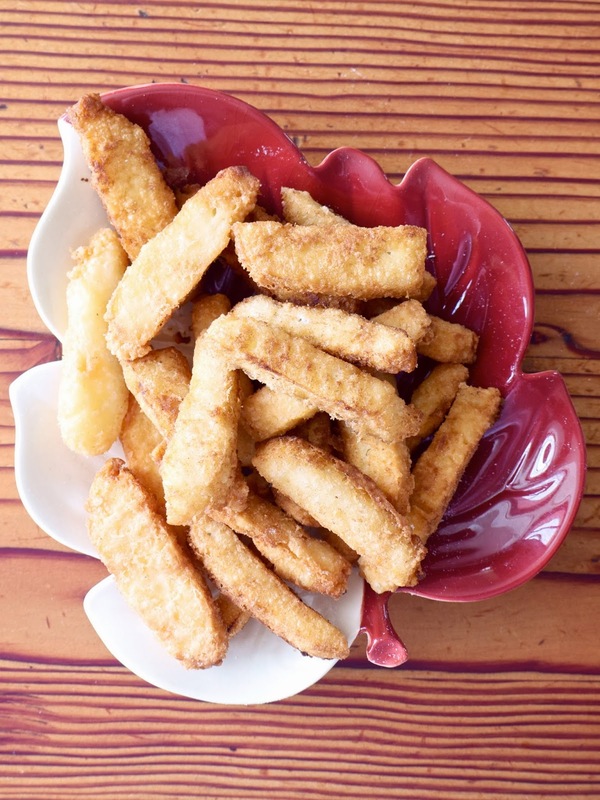 I mean, it's not like they're a usual thing around here, but still–beautiful salty fried cheese sticks! NOM. Yep, I have nothing to say but to reaffirm that you had a pretty brilliant stroke of genius here. (definitely bringing something to the table.) They sound perfect – and woo for things turning out right when fate and every other thing in the universe usually makes it otherwise. Now after reading through your recipe I'm wondering how good polenta-crusted halloumi fries would be… and now I'm hungry. 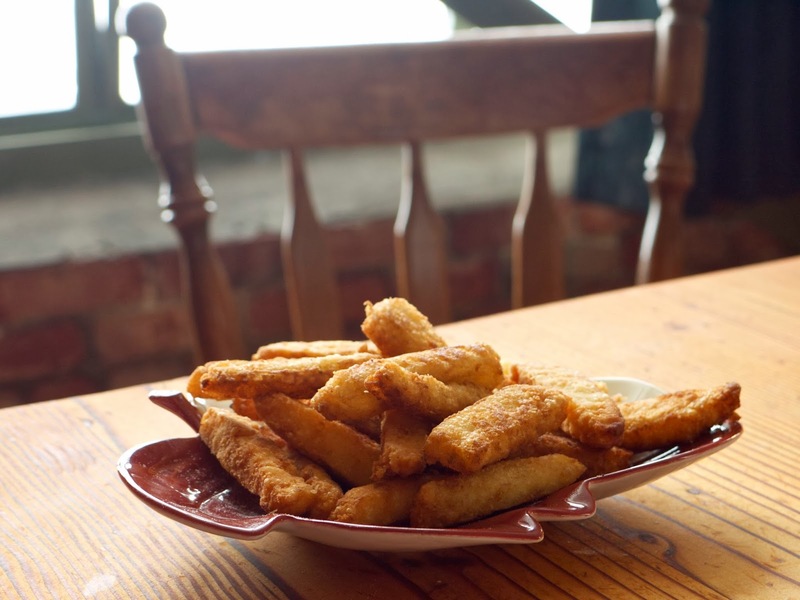 Oh wow – halloumi fries are indeed genius! As if halloumi weren't fabulous enough on it's own….you did good!! Dear god woman, you ARE a witch. This is GENIUS. My daughter hit upon the idea of cooking halloumi on our sandwich press- we used to put it right on the top, then we found it nicer to raise the top, so it doesn't get squashed and cook it on both sides. Lower fat too, and one less pot to wash.